If you’re a frequent viewer of this show, and of course I hope that you are, you may have noticed that we highlight quite a few plants with the species name muhlenbergii. And that allows me to momentarily indulge my plant nerdiness and point out that the common practice of naming plants for the person who discovered them, or perhaps some other fabulous botanist that other fabulous botanists wish to honor. Well, Chinkapin oak was named for Gotthilf Heinrich Ernst Muhlenberg, an amateur botanist who lived in the early 19th century. Now, back to horticulture. Chinkapin oak, a Central Texas native, is a medium-sized tree, reaching 40 to 50 feet tall, and just as wide, in most landscapes. It’s considered a moderately slow grower, but your patience will definitely be rewarded with a beautiful specimen tree. 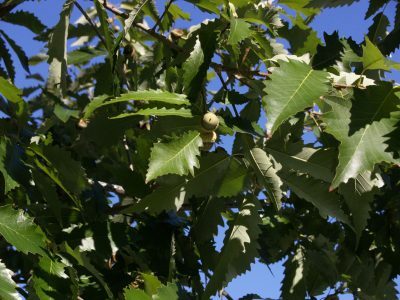 With a nice, rounded canopy and glossy, deep-green leaves, Chinkapin oak provides lots of shade, and is one of the rare native species to give us a bit of color in the fall. In the wild, it grows in well-drained soil, but easily adapts to a range of other soil types. And another great quality of this native tree is that it’s rarely bothered by pests or diseases and requires very little pruning to achieve its very attractive, rounded shape. 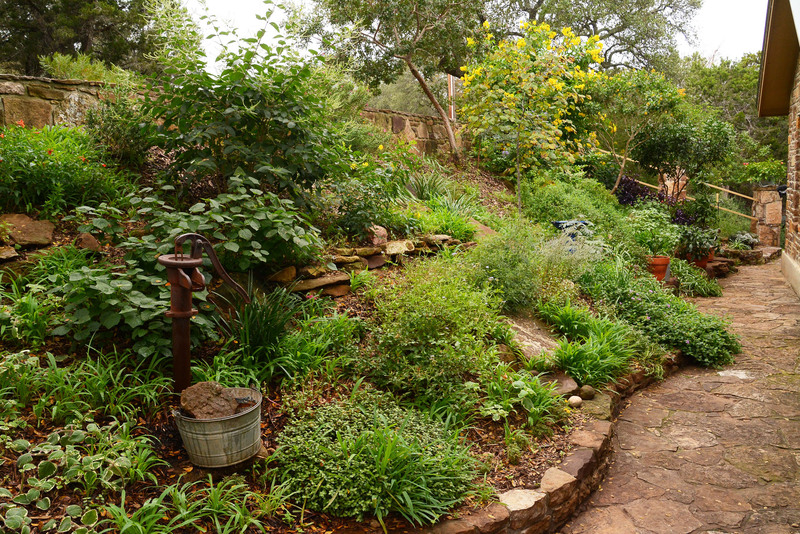 Like most other native species, it requires almost no supplemental irrigation once established, making it a very good choice for our area in these continuing dry times.